Sadly, I had a death in the tool box last week. after one too many drops, my old moisture meter finally gave up. So after a suitable period of mourning, (about 12 seconds) I decided to update to to the new Profi scale moisture meters by Burg Wachter that arrived in the shop last week. 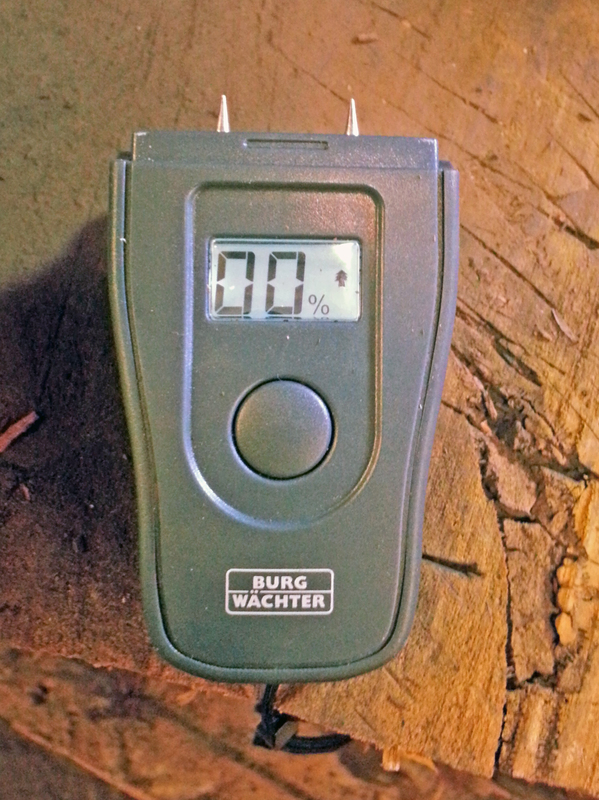 Whats cool about these meters is that as well as measuring the moisture level of wood you can quickly change the settings so you can measure the moisture content of plasterboard, (drywall) screed and gypsum as well as ambient temperature in Celsius and Fahrenheit. Also in the manual is this handy table which give you a rough idea of how to interpret the data from the meter. Please keep in mind when using this scale that it’s only a general idea. Moisture content varies between species and where you are in the world. Remember to take multiple readings and work out an average. 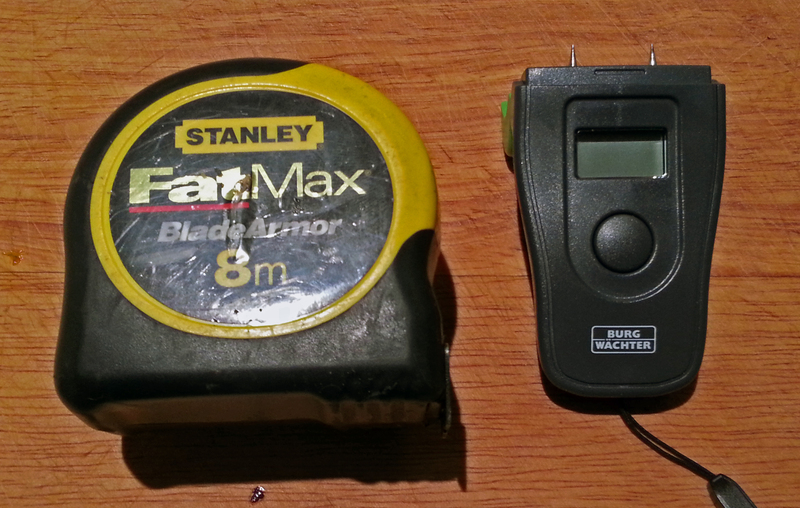 What I also love about this meter is the size, (See photo below), and the price. At under $40.00 (AUD) its an absolute bargain for all the features it has. If you’re in the market for a new meter have a look here.